From Kent we head north all the way to Yorkshire, and the Deep C Divas! 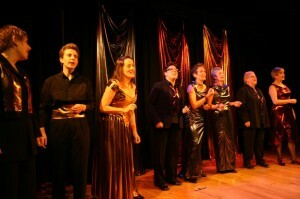 The Deep C Divas are a lesbian choir based in Leeds, Yorkshire. 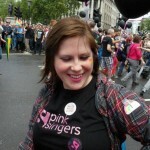 They formed in January 1999 after two of its members had attended the 1998 Amsterdam Gay Games and seen choirs performing in the cultural festival there. Inspired by what they saw, they formed a choir and quickly went from strength to strength. Four years later they attended the Sydney Gay Games VI and took part in a brilliant choral SingOut program, the highlight of which was singing at the Sydney Opera house. Their repertoire is varied and includes songs originally made famous by Dusty Springfield, KD Lang, the Beatles, Karine Polwart, Holly Near and Chaka Khan.